The fight for custody and access to children may come to an end. The words child ‘custody’ and ‘access’ have caused confusion to hundreds of thousands of separating parents. This is especially the case in the early stages of divorce. It seems as though the word on the street is that every parent should ‘get’ custody and, if they don’t, that somehow means that they are less of a parent. This could not be more far from the truth. For many decades, separating parents have waged wars over their claims in court for custody of their children. In fact, the more precise words claimed by many is ‘sole’ custody or ‘joint’ custody. By way of clarification, the word ‘custody’ means two things. Firstly, the person who has custody of a child has the child live with him or her. Secondly, that same person has the authority to make major decisions for the child’s health, education, religion and welfare. ‘Joint custody’ is where those decisions are shared. 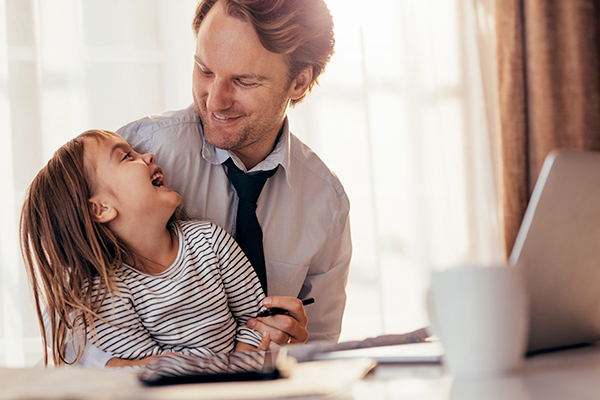 The Child Support Guidelines have added an additional type of custody called ‘shared custody’ which is defined as a situation when the child lives with each parent at least 40% of the time, which works out to at least 6 nights out of every 14 nights. The word ‘access’ is the opposite side of the coin. If one parent has custody of the child, then the other parent has access – the right to visit the child or be visited by the child on a particular schedule and the right to information regarding the child’s health and education. Typically, the access parent does not have the authority to make decisions. However, in most parenting plans, the custodial parent is required to consult with the access parent before a major decision is made regarding the child. These words have regrettably created unnecessary acrimony between the parents. It is not uncommon for one parent to insist that he or she should be the custodial parent, which typically causes the other parent to feel diminished and less important. These debates generally do not help the children nor create a future opportunity for cooperation. The fight over custody has become so problematic that our provincial governments have considered changing the language in the legislation to eliminate the words custody and access. This has been done in British Columbia and Alberta. Now, the federal government is debating a new bill to end the use of the words custody and access. Bill C-78 proposes to replace the words custody and access with ‘parenting time’. Most judges, lawyers and mediators believe that this is a positive step in the direction of reducing the conflict between parents who are separating. This will allow them to think of themselves as parents as opposed to winners or losers in a custody battle. Time will tell if this change in law will reduce the acrimony experienced by parents at the time of separation and result in a more collaborative, post-separation co-parenting relationship for the benefit of the children.